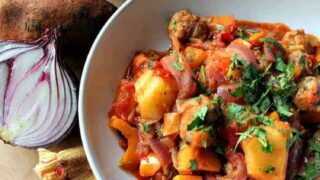 Sausage and Sweet Potato Dinner. 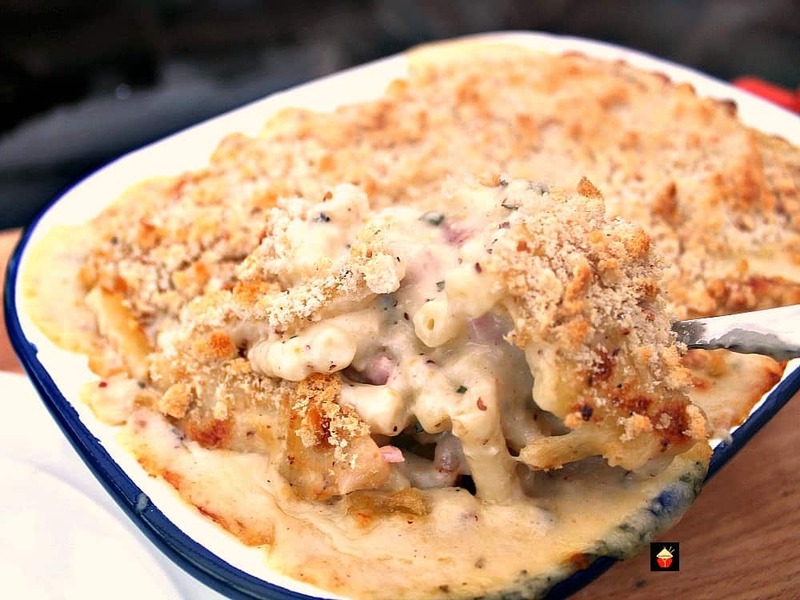 A really quick, easy and budget friendly stove top recipe, suitable as a weekday meal or a gathering! Fantastic flavors using lovely fresh ingredients. 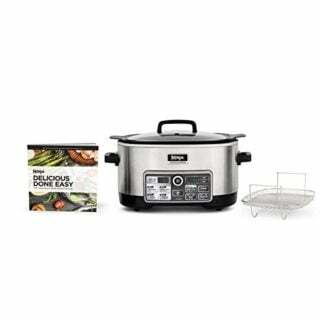 Options for slow cooker and multi cooker too. 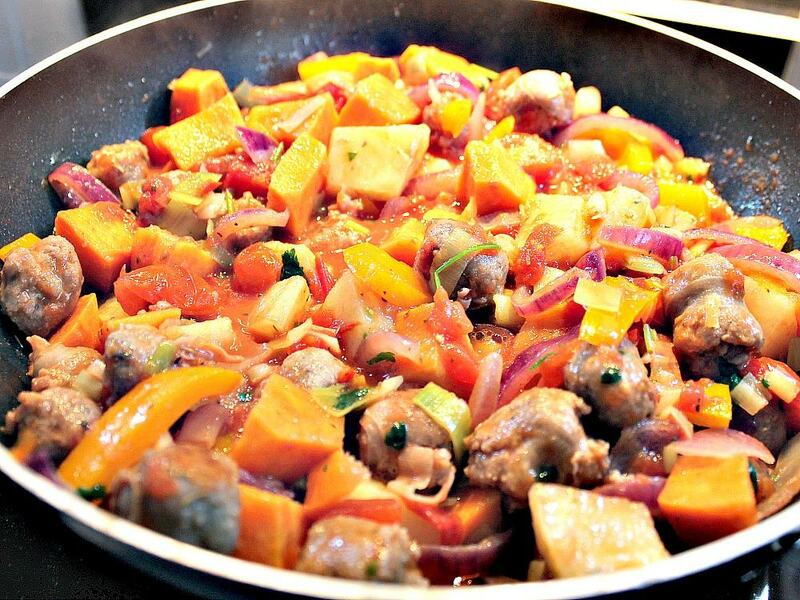 Sausage and Sweet Potato Dinner! Oh boy! This meal is packed full of flavor and incredibly easy to make. Using fresh ingredients (apart from 1 can of tomatoes), for each bite you have, you can really taste the freshness and rich flavors from everything. For the sausages, we used some good quality pork sausages. Of course, you must use your favorite sausages, so feel free to use what your family enjoys the most. 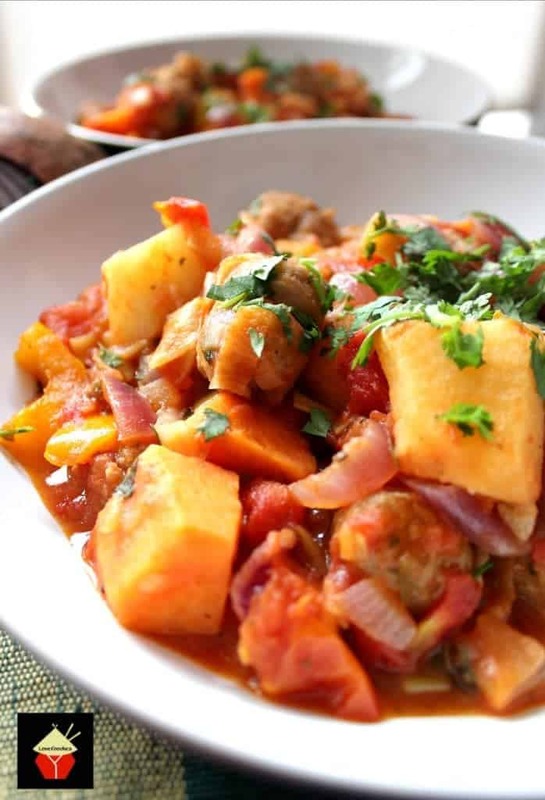 The addition of the fresh cilantro adds a wonderfully refreshing flavor, together with the bell pepper. The chili in the recipe doesn’t give the dish any heat but just a gentle taste, so again, feel free to be flexible and add more chili if you prefer a ‘hotter’ dish. 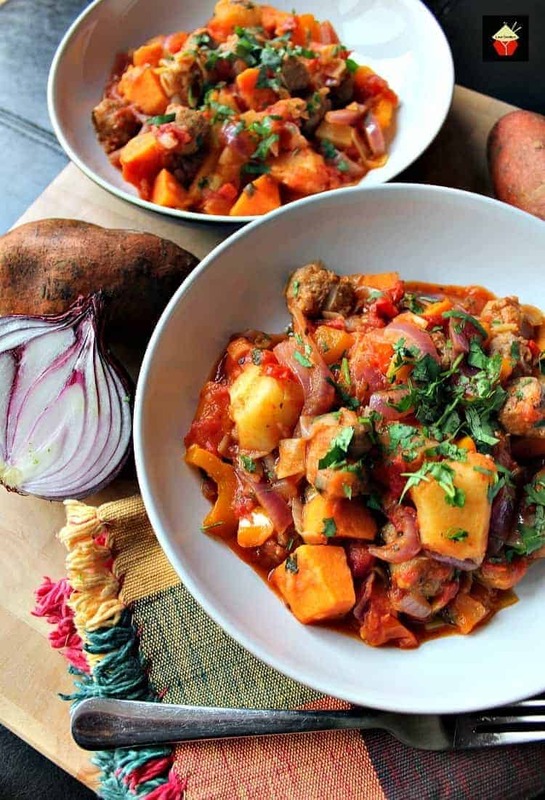 Sausage and Sweet Potato dinner is a great weeknight meal, it takes less than 30 minutes to have ready so it really is fuss-free. You could also make up a big pot of this and take along to a large gathering. Whatever you decide, it is guaranteed to taste really delicious. 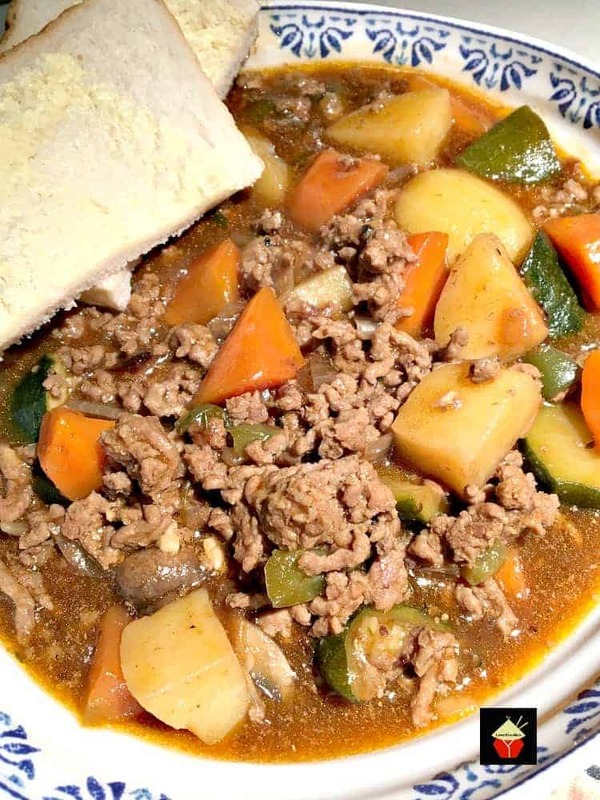 If you wished, you could prep this the night before or in the morning and pop in the slow cooker so it’s all ready for when you come home from work. A tip: Add some chopped bacon for an even bigger flavor too! 1. 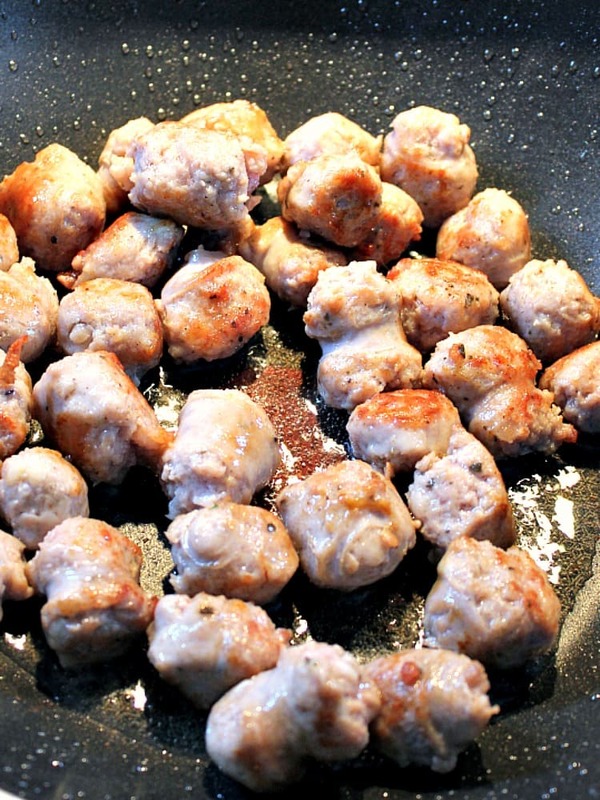 Cut the sausages into 1-inch pieces and fry in a non greased skillet pan until golden brown. Use a slotted spoon, place the sausages on a plate and set aside. 2. 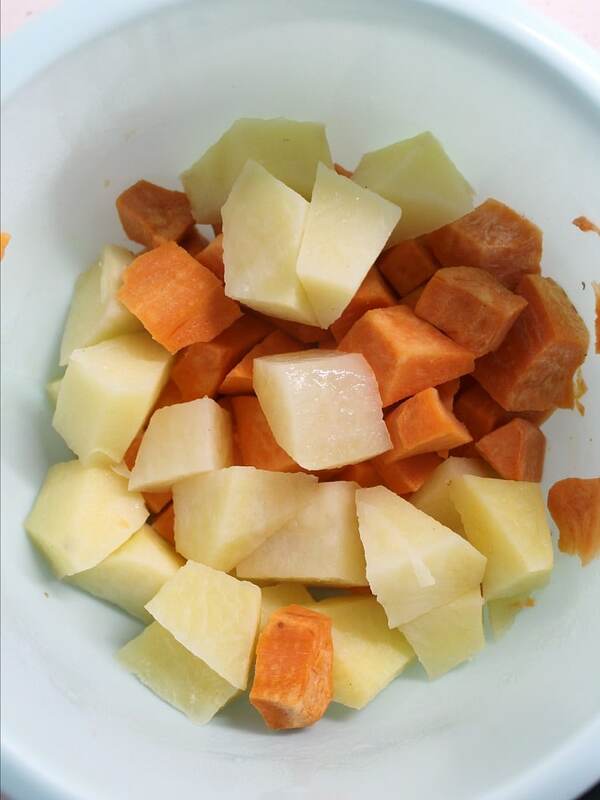 Peel and cut the sweet and white potatoes in to bite sized pieces and pre cook in a pan of water until soft, about 10 – 15 minutes, then drain and set aside. 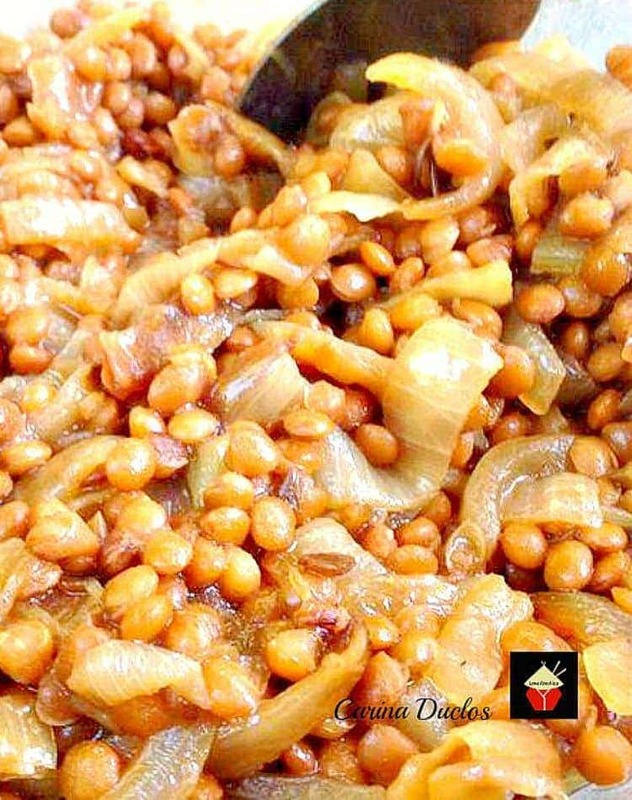 ***If making in your slow cooker or Multi cooker, no need to precook the vegetables. Just add the sauteed sausages and remaining ingredients to your slow cooker on low for 4 – 6 hours, or pressure cook on high for 20 minutes in your Instantpot / multicooker. 3. 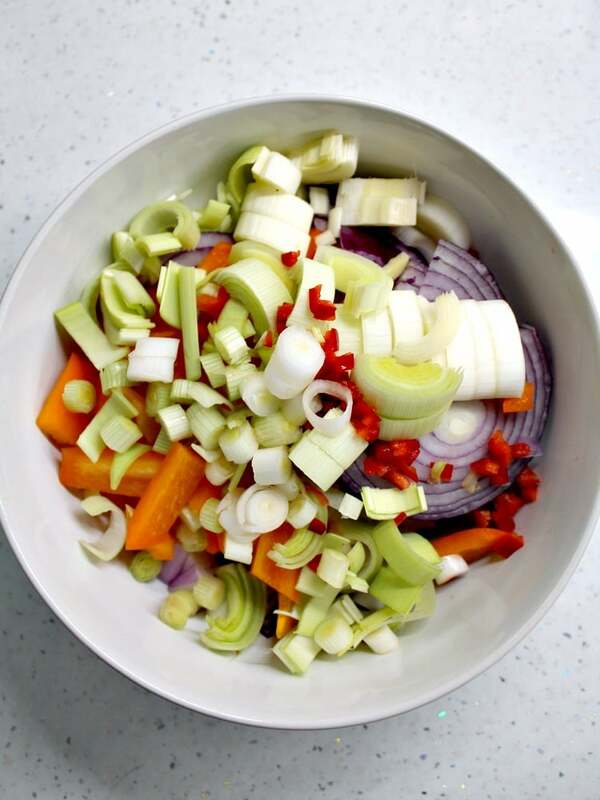 Whilst the potatoes are cooking, prepare all the vegetables by chopping or slicing as indicated in the ingredients list. 4. Add a drop of olive oil in to the same skillet and over a medium heat, add the vegetables and sautee until soft. Then add the potatoes to the pan, together with the sausages, cilantro, garlic and tomatoes. Season with salt and pepper and combine everything. Turn the heat down to low and allow to simmer for about 10 minutes with a lid on the pan. 5. Serve as it is or with some nice warm bread from the oven! 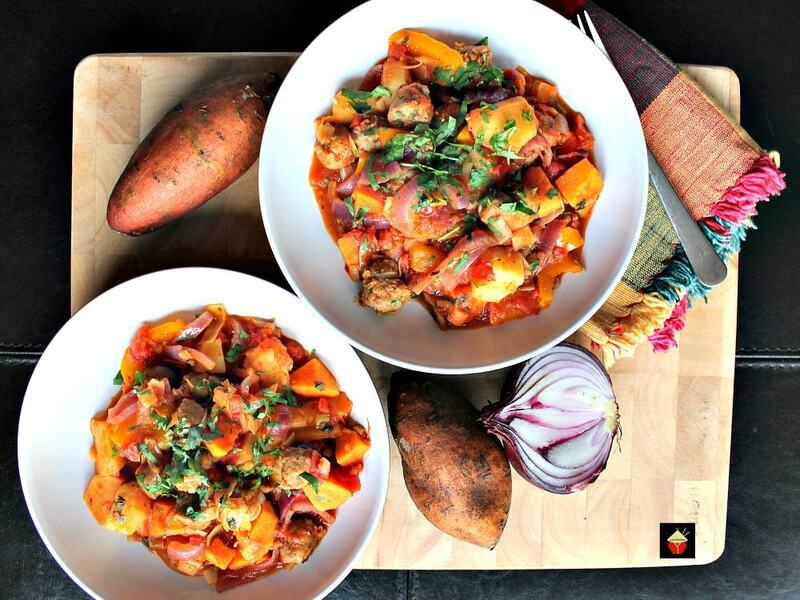 We’d love to hear from you and what you thought of our Sausage and Sweet Potato Dinner recipe. Did you make any changes or add some other goodies? Let us know in the comments below. Thanks for reading and happy cooking! 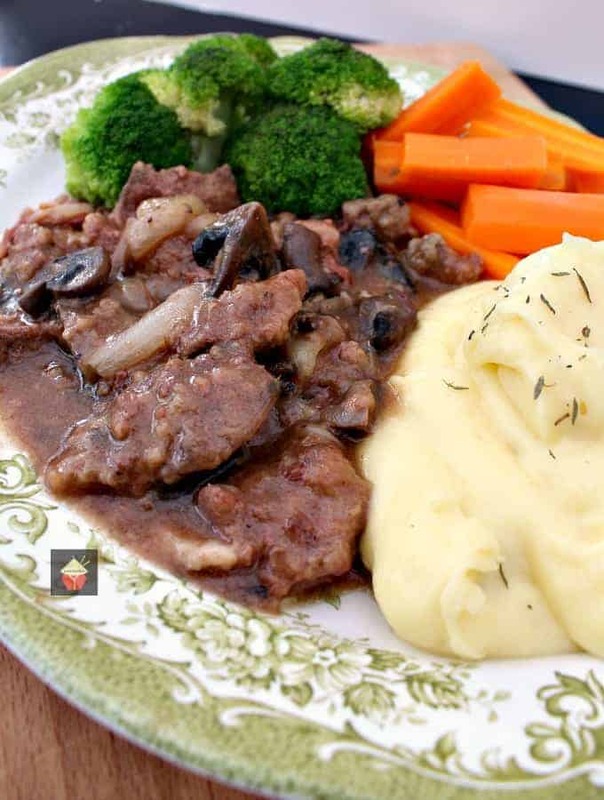 Here’s a few more delicious recipes for you to enjoy. Quick and easy too! Slow Cooked Liver, Bacon and Onions. Instructions for stove top, oven, slow cooker and Multi cooker / pressure cooker. You choose! Cut the sausages in to 1 inch pieces and fry in a non greased skillet pan until golden brown. Use a slotted spoon, place the sausages on a plate and set aside. Peel and cut the sweet and white potatoes in to bite sized pieces and pre cook in a pan of water until soft, about 10 - 15 minutes, then drain and set aside. 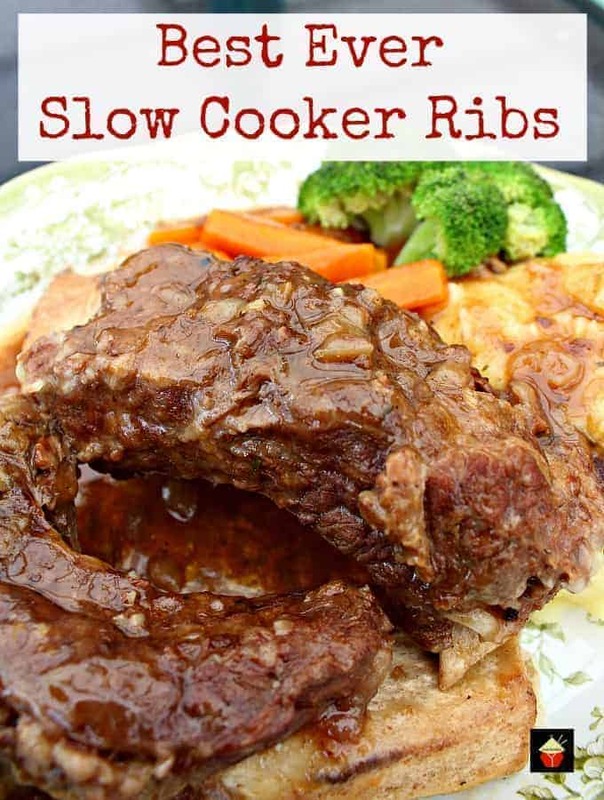 ***If making in your slow cooker or Multi cooker, no need to precook the vegetables. 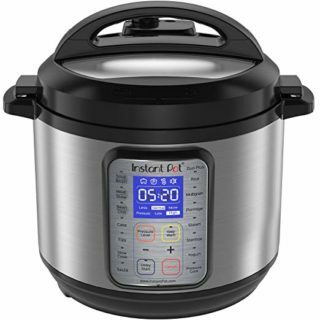 Just add the sauteed sausages and remaining ingredients to your slow cooker on low for 4 - 6 hours, or pressure cook on high for 20 minutes in your Instantpot / multicooker. 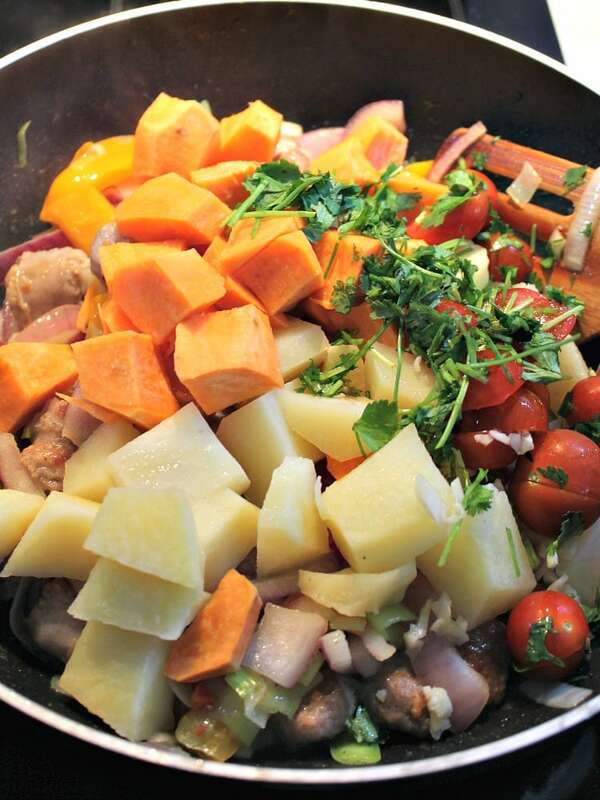 Whilst the potatoes are cooking, prepare all the vegetables by chopping or slicing as indicated in the ingredients list. Add a drop of olive oil in to the same skillet and over a medium heat, add the vegetables and sautee until soft. Then add the potatoes to the pan, together with the sausages, cilantro, garlic and tomatoes. Season with salt and pepper and combine everything. Turn the heat down to low and allow to simmer for about 10 minutes with a lid on the pan. 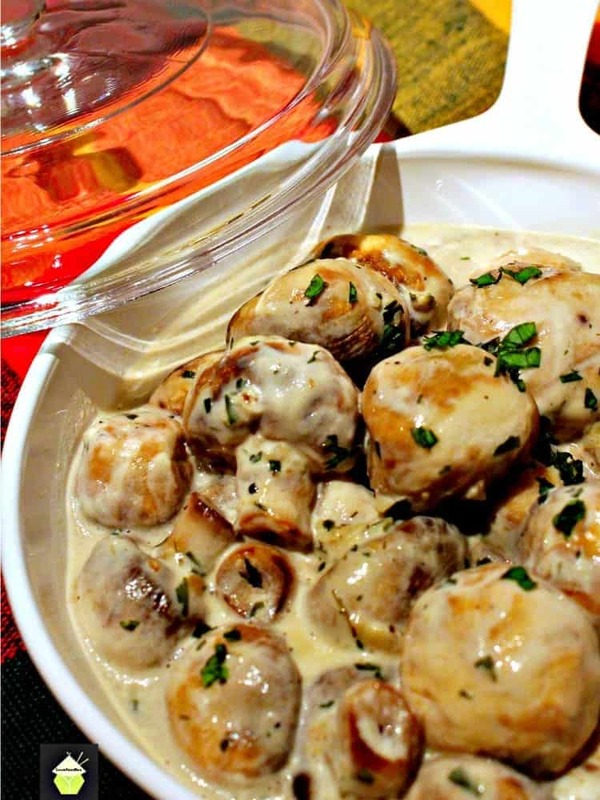 Serve as it is or with some nice warm bread from the oven!